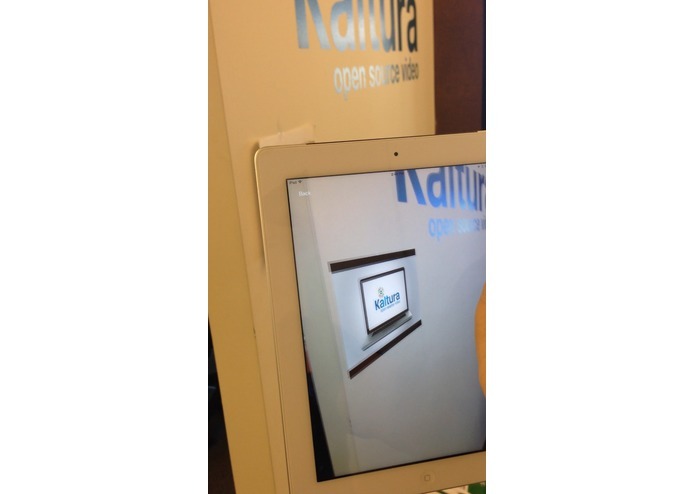 "Kaltura Local" uses GPS, iBeacon, and Augmented reality to create a new level of contextual awareness for video. If you are at a museum, you can see videos of a virtual tour guide for the exhibit you're standing in. If you're at a retailer, you can get product demos while standing in the aisle. 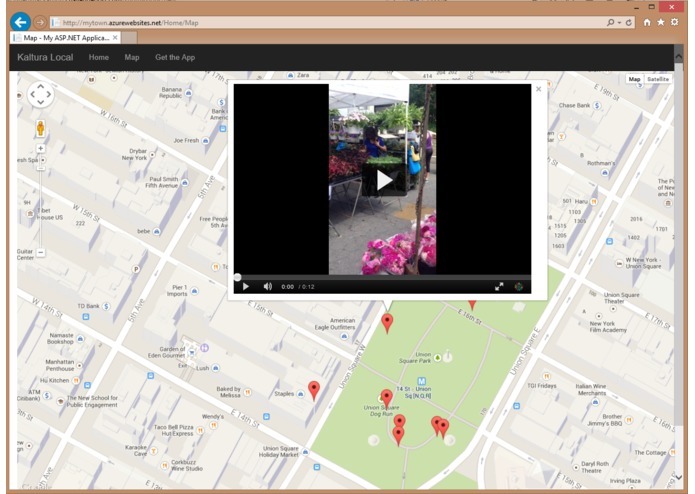 News videos can be tagged with geolocations. These are just the beginning. All of the location features are enabled using a cutting edge location aware video platform that is built on top of Kaltura's open source APIs. There is a web app hosted on Rackspace at http://23.253.39.166. But the core of the app is built natively on mobile. If you have an iPad and will be at Kaltura CONNECT, then let's connect. There are a limited number of spots, but please send an email to sam@bigairsoftware.com and I will do my best to send an invitation to the beta program. The Augmented Reality technology must be seen to be believed. I will also be giving private demos at the CONNECT conference. Thank you for your time, I hope you agree that Location aware video will make a real impact for your business. Don't forget to vote for "Kaltura Local"